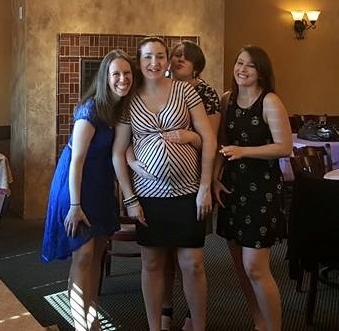 Recently at a baby shower, my college friends and I were reminiscing about the past, the choices we have made after college, and where the future is headed. In life everyone makes choices and it is a rarity that everyone can have it all. A college dance friend is currently seven months pregnant, another dance friend is getting married this fall, and I have aged one more year closer to thirty. Do I believe that you can create your own destiny? Absolutely, but anyone who is successful will explain the sacrifice they had to go through to get there, and as a performer there is a lot of sacrifice. As a performer you could be struggling in a big city like Los Angeles or New York working from stipend to stipend or contract to contract. Performers are also working multiple jobs like bartendering, serving, or being a hostess, but there is more potential in the dance field than just being a performer. First you could become an instructor. At dance studios, a person with extensive dance training can command $15-$30 an hour depending on if you are living in a big city or a small town. There are also opportunities to teach at high school and college levels, but teaching at either level requires you to have a masters in dance education as well as specific certification. If you have an extensive performance background this might get over looked at certain colleges if you decide to teach at the college level. Besides teaching, you could go the health route. Get certified in Yoga, personal training, Pilates, or massage therapy. These jobs will allow you to work and coach athletes such as dancers in their cross training endeavors to keep their bodies up to par during their performance years. A few friends of mine are doing both, still performing as well as doing some health related job so they can make money and live in the expensive room that they are renting for $1200/ month in NYC. Finally, there is arts administration. Granted you can get a masters degree in arts administration, which I have, but if this is a field that you want to get into there are ways around getting a masters degree. For example, I did an internship in communications and development at a small organization of two people called the Natasha Trifian’s Performance Group in NYC before I was hired at another company as the Assistant to the School Director. From there I moved up in the organization and eventually moved to another organization when I stepped into a new city. With arts administration you can also go the for-profit/ commercial route working at talent agencies, booking agencies, publicists, and performing arts center presenters. If you haven’t figured it out the possibilities are endless. Limiting yourself as only a performer can be career ending. Think ahead, and know that with the right moves, a good head on your shoulders, and some drive you are already ahead of 80% of the general population.